It’s cliché to say this after a festival, but I think Latitude this year was perhaps one of the best I’ve been to. After all of the doom and gloom in the news at the moment it felt like a challenge worth relishing to spend five days in a tent away from an office and away from a computer. My experience was spent with the same people I have camped with four or five times, along with some new faces too. They came from all over the country including Manchester, Somerset, and London. The great thing about the camp was that there was no obligation to spend five days with the same people, and we could all splinter off into smaller groups based on how involved we wanted to get with the festival, the type of music we liked, the type of alcohol we liked, and so forth. As it so happened the lovely people I spent the bulk of the festival with enjoyed the indie music I liked, they didn’t mind taking time to soak up the sun, and were fans of cider. They also liked funny hats, and had brought along plenty of bacon for breakfasts, so it was a match made in heaven. We even had two friends renewing their wedding vows at the festival this year. Latitude has always been my choice of a festival. It’s only over the border in Suffolk, a quick coach journey from Norwich. It gets painted as a bit of a middle class affair, but it mostly seems to get that reputation because it combines the arts with music. That’s no bad thing and shouldn’t be exclusive to one class. It means you have the choice of some top bands like Two Door Cinema Club, Florence and the Machine, New Order, and Arcade Fire (examples from the past few years) with smaller acts like Christine and The Queens, The Vaccines, Catfish and the Bottlemen, Years and Years, and Wolf Alice. All who were arguably smaller back in the day, but perhaps might be deserving of the bigger stage in the future. Then there’s the poetry stage, the literature tent, the film and television stage, the theatre tent, and also the comedy stage. Something for everyone, I assure you. This year the sun shone for the whole five days I was there. This really helped make it one of the best that I had been to. It made for some very hot mornings when the sun rose, it meant a lot of water and cider was consumed, and it made it frustratingly difficult to get my tent down on Monday morning. But it meant everyone was happy, no one had to walk around in wellies, and it meant people spent more time trying to work out what to take off rather than what they had to put on. It did get very hot at times though – without a hat I think my head might have melted. My arms and legs certainly felt like they were, and that was even with the sun cream applied frequently. By spending time with some people completely new to me but with similar music tastes I was able to get some excellent music recommendations. Rather than just seeing the music and comedy acts I knew, these people acted like Spotify recommendations for me. In the end I watched, and really enjoyed, Christine and the Queens, Aurora, Lucius, John Grant, Bear’s Den, and so many more. It also meant I had people to go see MØ with as well as the likes of Miike Snow, M83, The Lumineers, Beirut, Chvrches, The Maccabees, and so many more. After spending out during the weekend I suddenly had all of this music I had noted down that I needed to download. It meant Monday and Tuesday was spent on iTunes frantically searching for the songs I had danced to days before, while I agonised as my already depleted bank balance reduced further. I cannot recommend Latitude as a festival enough – especially if you live further away and you’re not too sure about making the commitment. Of course I wouldn’t want you all to buy tickets. Despite continually growing over the years, I think part of the appeal of Latitude remains that it still feels like a ‘best kept secret’ eleven years on. 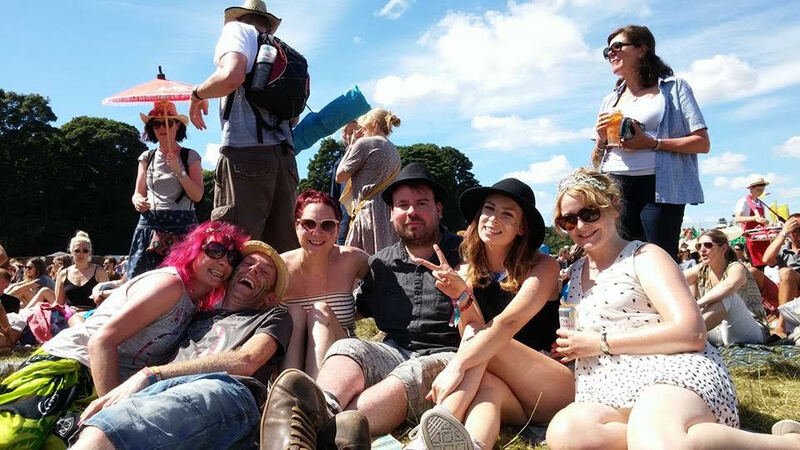 I now have an appetite to do something more this summer further to enjoying Radio 1’s Big Weekend in Exeter and Latitude – festival fever has struck me. Recommendations most welcome, comment in the below, or send me a tweet.